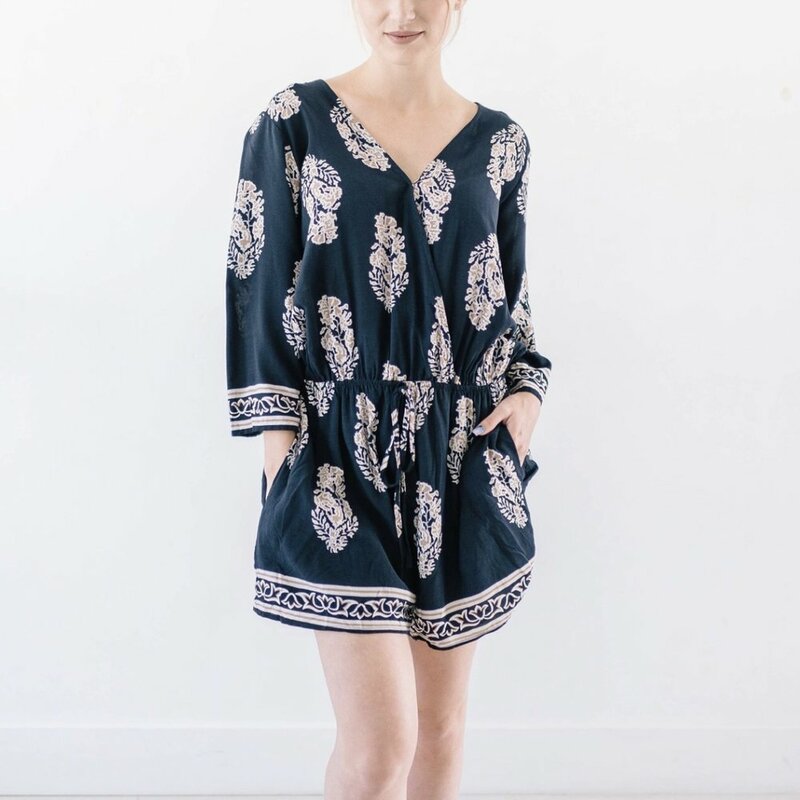 I have been loving this online boutique Poppy Lane! I have gotten really close to the owner Annelise, who is amazing! She is so down to earth and has such a good soul. Her online boutique is SO affordable!! We joke that I pay her cable bill, because of how much I shop and order from her! I love shopping from small shops and getting to know the owner! So, let's dive into all of the items I have been loving from her shop! Just click the photo to go to the item on her shop! These "Gray Slanted Skinnies" are absolutely adorable! My mom would tell you I don't always roll and dress with the seasons. I wear whatever, whenever! You don't always have to wear bright colors in the spring/summer if you're not feeling it! So, these are adorable for a casual outfit! I love the slanted hem! Click photo to go to the shop. How adorable are these shorts?! I absolutely love how simple they are, you can literally wear them with anything! Plus they are only $25!!!! Oh summer weather.... please come soon! Click photo to go to the shop! Do you need this top? Yes, yes you do. I absolutely love this top! You guys have to go grab it! There's only size small & only a few left! So go snag yours while they last!!! I love the light blue and the little knot detail! Don't forget to check out her website: Click here! I can't wait to get this dress! It's the perfect length, style, and theme for summer! The florals are soooo cute! And ladies, this dress is only $28!! This boutique is seriously so affordable! This romper is everything! I love the long sleeves, and the navy color! This is a new addition to the shop, so it's going to go fast!! This would be perfect for a beach day, a wedding, a graduation party, or a casual summer day! Lastly, we have this ADORABLE off the shoulder top! I love the color and how comfy it looks! I've also included the back view! This would be perfect for a lazy day or if you add a statement necklace, you could dress it up a bit! This is another new item, so it will go fast! Use the code: catherinemarie to receive 15% OFF your purchase! All orders get FREE shipping and your supporting a small business. I hope you have an amazing rest of your night! Make sure you subscribe to be notified whenever a new blog is posted! Follow all of the social links below and give some love! !